You made it! The month is over, so how did you do? 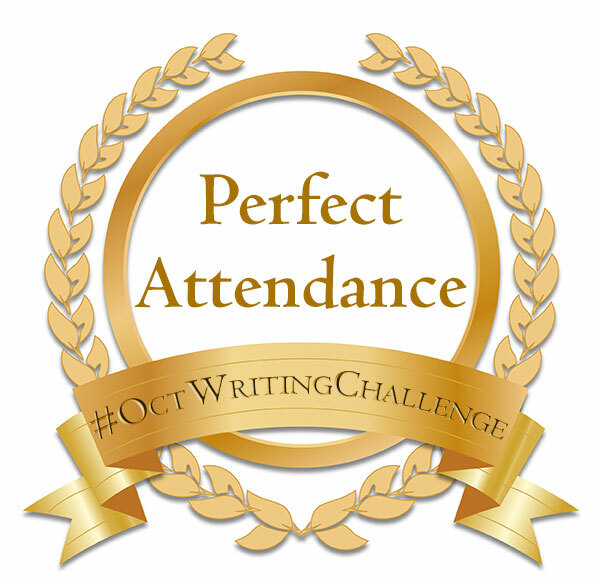 If you met the challenge EVERY DAY for the entire month, your name will appear under the Perfect Attendance section. If you registered a word count some days, but not all, then you’ll be listed under Participants. Hopefully, you enjoyed a successful month of writing, editing and otherwise moving your novels or other writing projects forward. If you’re up for it, #NovWritingChallenge starts November 1. We’d love for you to join us! Works well with NaNoWriMo! October was my first attempt at such a challenge. I didn’t meet my daily goal but my overall word count soared! I’m ready for #NovemberWritingChallenge. Awesome! So glad you decided to join us and stick around for more!